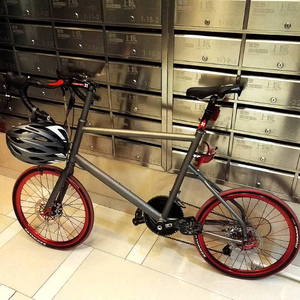 titanium mini velo bike frame for 24"or 20"
Mould, shape, color, capacity and other parameters of cosmetic packaging can be customized to your request. If any questions, do not hesitate to contact our customer service representatives. As long as you tell us your brand, the color you want and your prefer pattern. Detailed Images BMX bicycle frame we can manufacture various kinds of frames according to your reuqest in our factory. 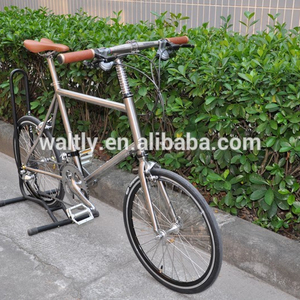 ,ltd is a leading exporter in bicycle frame,forks,handlebars and other spare parts in china . 3 We can timely response within 8 bussiness hours 4 we have 4 factories where can produce goods according to your reuqest . &bull; Low MOQ: It can meet your bicycle parts wholesale and retailing business very well. ,ltd is a leading exporter in bicycle frame,forks,handlebars and other spare parts in china . 3 there are about 500 people have been sticking to the principle of Quality the First. GR2 0.3 0.08 0.03 0.015 0.25 -- -- -- -- -- BAL. GR3 0.3 0.08 0.05 0.015 0.35 -- -- -- -- -- BAL. GR7 0.3 0.08 0.03 0.015 0.25 -- -- -- -- 0.12~0.25 BAL. XACD made titanium velo bike frame Ti velo bicycle frames titanium road bike frame 20"
Steel Mountain Bicycle Frame Products Picture Product s Description Steel Mountain Bicycle Frame Model No. Payment: -30% T/T in advance and 70% balance should be made before shipment. 3). Products Package and loading Our Factory Tianjin HaiyueTechnology Co.
Alibaba.com offers 106 minivelo bike frame products. About 15% of these are bicycle frame, 2% are bicycle, and 1% are bicycle fork. A wide variety of minivelo bike frame options are available to you, such as aluminum/alloy, carbon, and titanium. You can also choose from road bicycles, mountain bikes. As well as from 48 - 52cm, 40 - 46cm. There are 26 minivelo bike frame suppliers, mainly located in Asia. The top supplying country is China (Mainland), which supply 100% of minivelo bike frame respectively. Minivelo bike frame products are most popular in North America, Central America, and Western Europe.